FFA - Nearly 80% vote that Florida Family Association should contact advertisers to oppose the appearance of transgender (female to male) Chaz Bono on Dancing with the Stars? Chaz’s appearance on this show looks like nothing more than social engineering to mainstream extreme parts of the homosexual agenda. Close to Eighty percent (80%) vote that Florida Family Association should contact advertisers to oppose the appearance of transgender (female to male) Chaz Bono on Dancing with the Stars? The ABC show Dancing with the Stars is planning to have Chaz Bono on the show this fall paired with pro dancer Lacey Schwimmer. Click here to read news report at Fox News. 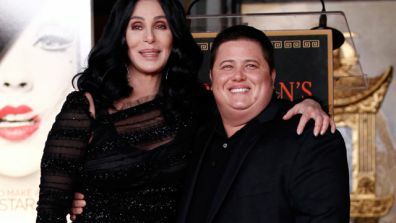 Chaz Bono is Cher Bono’s daughter turned man. Chaz’s only stardom is his transgender status. Leave it to Disney owned ABC to elevate transgender pioneering to star power. Chaz’s appearance on this show looks like nothing more than social engineering to mainstream extreme parts of the homosexual agenda. The word “unedited” was used because the actual number of yes votes is estimated to be in the low to mid eighty percent (80%) range. This difference is because many opponents on the pro-transgender side of the issue voted numerous times before Florida Family Association installed software to restrict two answers per household or internet provider address. One individual voted No 1,001 times while another person voted No 941 times. Well over 100 people voted more than twice. A special thanks to everyone who took the time to send us comments regarding this issue. There were many who conveyed good points to be considered. Florida Family Association plans to monitor Dancing with the Stars which first airs on Monday, September 19, 2011 at 8:00 pm.